A large study into the evolution and distribution of a major banana disease virus has been carried out by an international team of researchers, led by Dr Arvind Varsani from the University of Canterbury with funding from the Marsden Fund of New Zealand. By analysing viral genes, researchers wanted to know whether humans inadvertently spread Banana bunchy top virus (BBTV) through moving banana plants around the globe for horticulture. Bananas are the 4th most important food crop in the world and thought to have originated in South East Asia between 7000–10,000 years ago. The fruit reached as far as West Africa by 3000 years ago. Banana plants have been moved around the world frequently by humans over the past 10,000 years, with many introductions and re-introductions into countries in modern times. Plants with Banana bunchy top disease (BBTD) suffer major, often total crop losses. The disease, which likely originated in South East Asia, was first recognised in Fiji the 1880s, although the causative virus, Banana bunchy top virus (BBTV), was not identified until the 1990s. 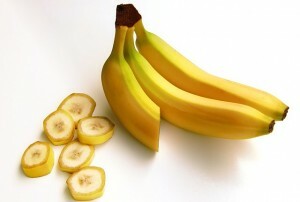 As banana plants are propagated by cultivating shoots from the base of a parent plant, all offspring of a diseased plant will also be infected with the virus. Symptoms of disease infection can take up to 85 days to show, allowing ample time for plants to be transported across continents in modern times. Banana aphids (Pentalonia nigronervosa) transmit the virus to new host plants as they feed, allowing the disease to spread quickly across banana plantations. Once a plant is infected there is no cure. It must be dug out and burnt to prevent further disease spread, resulting in significant long term loss to the farmer. By genetically mapping the historical and current distribution of different virus isolates, the research team discovered that the Indian Subcontinent is a major hub of long-distance BBTV movements. The data revealed that the virus jumped from the Indian subcontinent to Africa twice: firstly to sub-Saharan Africa between 1825 and 1934, and secondly to Egypt between 1929 and 1936. It also moved into the Pacific region twice, to Australia between 1843 and 1974, and to Tonga between 1735 and 1882. These results show that the virus has not been spread rapidly by human movements across the globe, but has rather moved long distances gradually through infrequent dispersal events over the past 1,000 years. Within regions however, evidence points to shorter-distance virus movements over the past 100 years. In providing the first-ever high-resolution view of global BBTV diversity and geographical structure, this study will help scientists in their efforts to understand the patterns, causes and effects of global virus movements. The A2 Milk Company has revised its expected profits for the 12 months ended 30 June 2016.